Carl Tatz is the award-winning studio designer and principal of Nashville-based Carl Tatz Design LLC. Drawing upon his thirty years of experience as a GRAMMY©-nominated engineer/producer, award-winning commercial studio owner (Recording Arts) and recipient of the 2013 TEC Award for studio design, he has shared his unique acoustic approach in lectures and on panels at such esteemed venues as Berklee College of Music, SAE, the Art Institutes, Mix Nashville, EARS Chicago, Blackbird Academy and AES events. 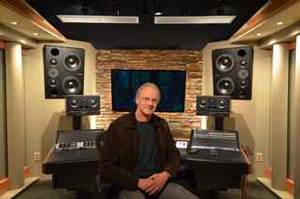 His work encompasses commercial, educational and in particular, personal recording studio and private screening room design for many high profile engineers, producers, and artists coast to coast.